is the total cost of all spending promises assessed as part of the election costing ‘Bribe-O-Meter’. is the amount of taxpayer money the Council of Trade Unions won’t receive thanks to our work. is the number of readers of the Fairfax newspapers our Ratepayers’ Report was mentioned in. is the number of voters our election costing ‘Bribe-O-Meter’ figures reached. is the amount Auckland Council spent on a silk curtain for Devonport’s new library. is the number of subscribed members and supporters. is the number of times our ‘Sky High’ report on passports was downloaded on the day it launched. is the number of radio interviews we did on taxpayers’ issues. is the average number of newspaper stories we appear in every month. is the number of TV interviews we did on taxpayers’ issues. is the number of newspaper editorials supportive of a piece of our work or campaign. is the amount of government funding the Taxpayers’ Union accepts. 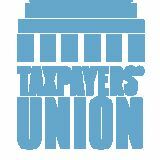 We founded the Taxpayers’ Union to stand up for hard-working taxpayers like you. We represent your interests to Ministers, MPs and the media to stop your taxes being squandered by bloated government. The Taxpayers’ Union publicly launched on 30 October 2013. 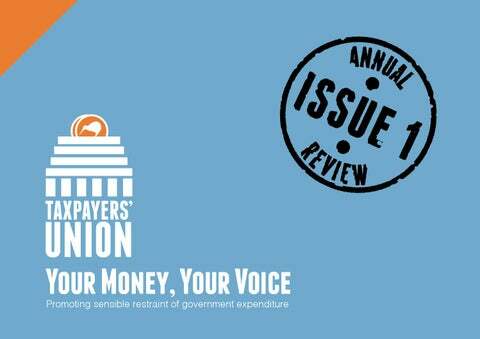 This report covers activities in the Union’s first 12 months. We operate an office in the heart of Wellington with two full time staff, and a number of part time contractors and interns. In addition to the team listed here, we couldn’t do what we do without the behind the scenes support of experts and insiders who point us in the right direction. John has a Master’s Degree in Political Science from the University of Canterbury and Diplomas in Management from Henley College in the UK, and from the Institute of Corporate Managers in New Zealand. David is the owner and director of Curia Market Research which he founded in 2004. Curia is a specialist opinion polling and research agency. John has extensive experience in broadcast journalism and corporate communications, and was Chief Parliamentary Reporter for Television New Zealand in the mid 80s, reporting on the fall of Sir Robert Muldoon and the rise and fall of the Lange government. Jordan launched the Taxpayers’ Union last year, and has since left Wellington law firm Franks Ogilve to lead the day-to-day operations of the Union full time. Jordan has bachelor degrees in law and accounting from Victoria University of Wellington, is a barrister and solicitor of the High Court of New Zealand. In 2011 Jordan was spokesperson for Vote for Change, a lobby group that campaigned against the retention of the MMP electoral system. In 2009 The Listener ranked David Farrar as the fourth most powerful person in the New Zealand media. He is well known as the editor of the popular Kiwiblog which started in 2003. Kiwiblog receives around 600,000 visits a month. David also is a frequent political commentator on TV1, TV3, Radio New Zealand, Newstalk ZB and Radio Live. reserving. Gabrielle attended Auckland university where she studied New Zealand Politics and Maori. Ben holds a Bachelor’s Degree in political science and philosophy from Victoria University of Wellington. Jonathan has a Postgraduate Diploma in Biotechnology and a Bachelor’s Degree in Biology and Ecology & Biodiversity from Victoria University of Wellington. Ben has previously worked as a Parliamentary researcher for the New Zealand First Party and has worked in several public sector advisory roles. Jonathan previously worked at the Malaghan Institute of Medical Research both as a Researcher and a postgraduate student. Jordan holds an Honours Degree in History from Victoria University of Wellington. Jordan was previously a public servant and a politics columnist. He is currently studying towards a Masters in History. Madeleine Harris Research Intern Madeleine is a student at Victoria University of Wellington. She is studying bachelor degrees in law and commerce (economics major). Madeleine’s focus at the Taxpayers’ Union has been on local government and areas of research which involve legal history. Policy. Amy’s academic research includes work in political psychology and behavioural economics. •	scrutinise government spending; •	publicise government waste; •	provide taxpayers with an effective voice in the corridors of power; •	educate New Zealanders against excessive and wasteful government spending; •	promote an efficient tax system; •	promote discussion on the balance of activities best undertaken by the private and public sectors; and •	promote public policies seeking to advance New Zealanders’ prosperity. The Taxpayers’ Union remains independent of all political parties and will never become one. Our ‘Waste Watch’ campaign highlights examples of wasteful spending and provides comment on proposed spending initiatives from the Government, councils, political parties and other lobby groups. We operate a 24-hour media line for comment on taxpayer issues. We also operate a ‘Tip Line’ for members of the public to submit examples of wasteful government spending – some of our best exposés have come from insiders and bureaucrats. Due to an absence of other groups campaigning fiscal conservatism, many of these stories would not have become public without our efforts. The purpose of our campaigns are to expose government waste, resist groups that constantly demand more spending for their pet causes, and create a public climate that demands less wasteful spending and lower taxes. We rely on the good work done by traditional think tanks but communicate their ideas to a wider audience. We’re not a think tank. Our target market isn’t the intellectual elite in Wellington – we’re here to capture the talkback audience. Our value is our ability to influence the public debate, and the politicians who must respond to it. 1. Tipline – every day we get tips from members of the public who have seen public money being wasted. Our researchers get to work, confirming examples using the Official Information Act and working with our partners in the media to expose the waste. 2. Solid research – our experts are among the best. In our first twelve months, we have worked with a former Deputy Commissioner (Policy) of the IRD and the economist we engaged for our high profile “Bribe-O-Meter” election costing project previously led the team at IRD that costed social policy under both National and Labour led governments. Our staff and interns use the Official Information Act every day to support our campaigns and keep local councils, the Government and bureaucrats accountable. 3. Strategic communications – we work closely with journalists, sometimes working together on stories, or offering exclusives to maximise exposure for our message. Our board and staff are regular guests on all of New Zealand’s major radio networks. Our 24hour media line is to ensure that we are always on call to react to breaking news with a fiscally conservative message. 4. Media events – the left are very good at drawing attention to their causes with stunts. We emulate our international partners, using media events like ‘Waste Awards’ and ‘Fuel Tax Refunds’ to draw media attention to what are serious underlying messages. 5. Building coalitions – joining forces with other groups provides a powerful opportunity to build broader support for our policy objectives. For example, we partnered with Age Concern, Consumer NZ and the Financial Services Council to promote the Fair Tax for Savers campaign. 6. Targeted material – we tailor our media releases with local content for provincial media. We find the payoff high - local issues tend to lead to more engagement, membership and support, than national media. For example, the Ratepayers’ Report (our local government league tables) featured in more than 40 community newspapers, with our commentary and analysis based on regional data. Our Waste Watch campaign is the backbone of our activity. Its objective is to regularly remind the public that they are better stewards of their hard earned coin, than politicians and bureaucrats. Over the 2013/14 summer break, we generated more media stories than all the opposition parties combined (we achieved nearly one national newspaper story per day). Our work put the CTU, which had received the bulk of the money, on the back-foot. All major TV, print and radio outlets covered the story. On Radio NZ’s Morning Report the ACC Minister labeled the scheme a ‘cozy deal’, a ‘rort’ and said it had ‘all the hallmarks of a scam’. Shortly after our exposé, the scheme was pulled. According to internal ACC documents the Taxpayers’ Union uncovered, a deal between Business New Zealand, the Council of Trade Unions (CTU) and ACC, cost ACC-levy payers $19 million since 2003. They show ACC knew that millions paid to the groups to provide health and safety training did little, if anything, to reduce workplace accidents. ACC analysis concluded that even with optimistic assumptions, for every dollar spent on the training, 84 cents was wasted. We worked with Fairfax Media to produce New Zealand’s first interactive online league tables for local councils. Ratepayers’ Report, hosted by Stuff.co.nz, allows users to compare local council metrics including average residential rates, debt per ratepayer and even CEO salaries. The report was based on a series of information requests to all territorial authorities and their 2013 annual reports. It shows that average council liabilities are $4,386 per ratepayer while Auckland Council is the highest at $15,858 per ratepayer. Through Fairfax’s network of two national weeklies, nine dailies and more than 60 community newspapers, we tailored material, comparisons and commentary for news editors across the country to hold their local councils accountable. The report received the support from Invercargill Mayor Tim Shadbolt, and Hutt City Mayor Ray Wallace both of whom provided a foreword. To generate discussion about how councils can do more with less, we included suggestions that were deliberately provocative. As a result, we received a considerable positive talkback radio response, coverage in the NBR, on Radio NZ and a full-page spread in the Herald on Sunday. Jono Brown’s Rate Saver Report pulled together 101 suggestions and examples of best practice to save money in local government. Many of the best suggestions came from a request to all of New Zealand’s mayors to highlight good local initiatives. Our 2014 election costing ‘Bribe-O-Meter’ armed Kiwi voters with the facts. It tracked the cost per household of the political bribes as the politicians vied for their votes. For too long politicians got away with plucking numbers out of thin air when announcing policy and the associated costs. Did you know? Our online targeted advertising ensured the per household cost of election promises were brought to the attention of more than 215,000 voters in the lead up to polling day. By election day, the cost of spending promises were: National:	$1.397b	($824 per household) Labour:	$5.805b ($3,423 per household) Green:	$6.542b ($3,858 per household) ACT:	$-11.66b ($-6,876 per household) United Future: $2.124b	($1,253 per household) Conservative:	$400m	($236 per household) New Zealand First’s policies were so lacking in detail even our expert couldn’t cost them! We engaged Dr Michael Dunn to undertake the economic research for the project. Dr Dunn, a former Principal Economist at the New Zealand Institute of Economic Research, once led the team of financial analysts at the Inland Revenue Department that forecast government tax revenues, and costed social policy through 30 budget, half-year and pre-election economic and fiscal updates. The briefing paper showed that the New Zealand passport is the most expensive in the world on a per year basis. We exposed the Passport Office’s operational surplus resulting from charging more than is necessary for too long. We explained why New Zealand is swimming against the tide, with Canada, China and the Netherlands all recently increasing their passport validities to ten years. Our briefing paper was cited in questions by journalists put to the Prime Minister John Key, and Minister of Internal Affairs Peter Dunne. The Government is currently reviewing the cost of passports with, according to Mr Dunne, “a view to returning to 10-year passports”. Our briefing paper on the cost and validity of New Zealand passports was released at the same time as our presentation to the Parliamentary Select Committee considering a petition to return to a ten year regime. Our focus is to keep the pressure on the taxpayer funded groups that use activist science and scare mongering to promote higher taxes and more regulation. Too many not-for-profits and ‘charities’ are, in reality, state funded political campaign operations. Others are reliant on taxpayer money but sidestep the constitutional safeguards that apply to government entities. In 2015 we will fight for an amendment to the Official Information Act which would mean not-for-profits that are majority funded by taxpayers would have the same transparency as government departments. That would bring our freedom of information law into line with various Australian jurisdictions. If corporate welfare was abolished, enough money would be saved to reduce the corporate tax rate from 28% to 22.5%, or if applied to personal income tax rates, would allow the 30% and 33% rates to be lowered to 29%. Jim Rose’s report ‘Monopoly Money - The Cost of Corporate Welfare Since 2008’ attracted considerable coverage in the National Business Review and on talkback radio. The report shows that since National took office, corporate welfare has cost taxpayers $1-1.4 billion ($600 - $800 per household) per year. ber of Commerce Auckland Cham CEO, Michael Barnett Jim Rose is a former principal advisor at the Treasury and former senior analyst at the Ministry of Business, Innovation and Employment. Full financial account are available on request, tabled at each AGM and filed with the Registrar of Incorporated Societies (our financial year is January to December). * A supporter is anyone who voluntarily signs up as a supporter of the Taxpayers’ Union. There is no cost associated with being a supporter however many become members for $5 or make other financial contributions. Will you invest in us? The success of the Taxpayers’ Union is directly related to our continuing ability to raise funds. Unlike our international counterparts, we do not use professional fundraisers nor do we pay commissions. With a few exceptions, every large donation comes from our Executive Director taking the time to raise funds. And that takes him away from other work. In May, the board had enough confidence about our future to employ him full time. Jordan leads a team of volunteers, part timers and contractors in our Wellington office managing daily media, correspondence, our online presence, and membership. We are very grateful to those who have dug deep, and particularly those donors who committed to the cause, even before the group launched and proved itself possible. Every extra dollar donated is used to bring more public attention to our causes and hold government to account. Right now an incredible 42% of the economy is absorbed by government. Bill English is doing his best to get that level down – but unfortunately the growth in local government spending is undoing much of the good work. Mr English needs all the political help he can get to trim the fat. Our work will be to identify low priority spending, to question the status quo and expose rorts. We need to give those in Wellington the political headroom to reprioritise, reduce expenditure, and to be firm about cutting programmes that don’t deliver measurable results for the taxpayers’ investment. Who knows when National and ACT will next have a majority in Parliament? We cannot let the Goverment miss this opportunity to push through important and much needed reforms to cut taxes across the board. The Board has resolved that the focus for the next 12 months will be to ensure that the public understand how prudent tax cuts can be achieved earlier than 2017 and without risking the surplus. Meaningful tax relief will also give the economy a useful boost – and that could be important if, as expected, the economy starts to slow down a bit. The best way to cut taxes is to cut spending – our work to expose government waste will continue. In addition our work to increase the accountability of groups receiving taxpayer funding, and keep shining light on the local government sector will continue. We have a menu of campaign projects that are set to launch with your support. All of them are important and most of them can be undertaken as standalone projects. They won’t happen without you, and people like you, digging deep and making the work of the Taxpayers’ Union possible. A donation to the Taxpayers’ Union is an excellent investment. If we can successfully eliminate even just the most wasteful one per cent of government spending this will save taxpayers $800 million per year. Our 2014 ‘fuel-tax cash give-away’ cost less than $1,000 but resulted in more than 450,000 Seven Sharp viewers learning that 43% of the pump price is tax. We need supporters like you giving generously to continue our campaigns that stand up for taxpayers. The Government is budgeting to spend over $73 billion next year and local government around $8 billion, meaning a total government spend of more than $80 billion. •	By debit or credit card by calling us on 04 282 0300 (option 2). •	Online at: www.taxpayers.org.nz/donate All donations are confidential and are not required to be publicly disclosed. The Taxpayersâ&#x20AC;&#x2122; Union mascot, Porky, enjoys the $20,000 ratepayer funded temporary sandpit built by the Wellington City Council in the shadow of the red-stickered town hall, the future of which is uncertain.